The momentum of Idul Adha 1438 Hijriyah is the right time to share to the people who need a helping hand through qurban ritual. In celebration of Eid al-Adha this year, Toyota Indonesia once again distributed sacrificial animals to the needy society around the area of business operations. This year, Toyota Indonesia provides qurban animal donation in the form of 18 cows and 30 goats to be distributed to various areas in Karawang, West Java and Sunter, Jakarta. Delivery of qurban animals is given directly by Toyota Indonesia representative, Jufri Anthony to the Head of BPLDH Karawang, Poltak LT. The qurban animals that received will be channeled to environmentalist NGOs and street sweepers. 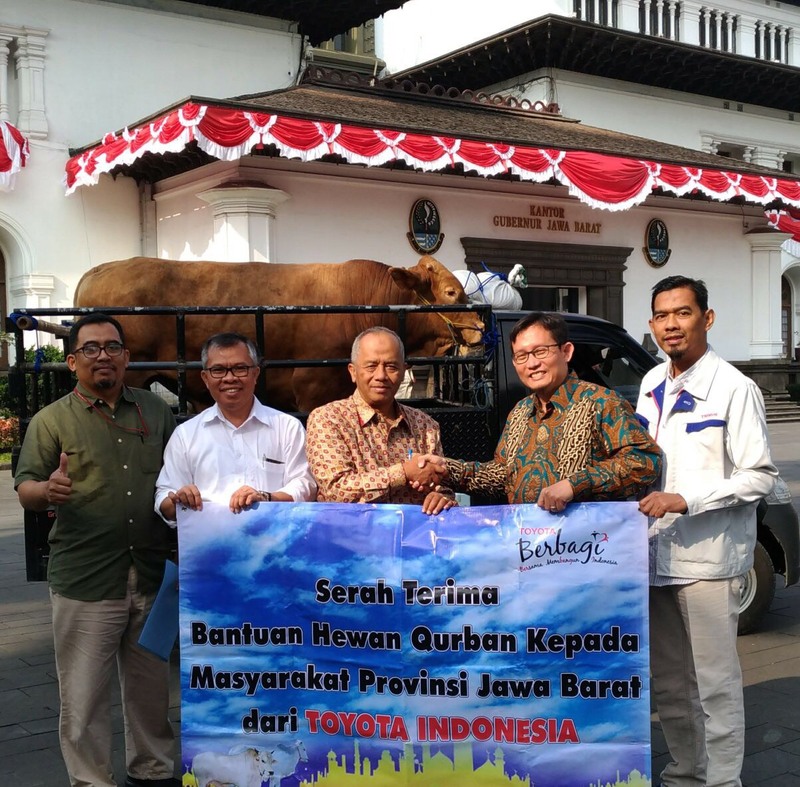 On another occasion, Purwoko Deni represents the management of Toyota Indonesia along with Khairul Anwar who represents the union of TMMIN doing the cow delivery to the head of BPLDH West Java, Anang Sudarna which will be channeled to Cikoneng Village, Pasir Jambu. This qurban activity is in accordance with the 3 pillars of Toyota Berbagi that is 'Society Contribution' where through its 'Community Development' activity, Toyota Indonesia continuously supports for the prosperity and welfare of Indonesia. Doing qurban is a routine activity conducted by Toyota Indonesia every Eid al-Adha as a form of caring by Toyota Indonesia to the surrounding community. Through the spirit of Toyota Berbagi, Toyota Indonesia is committed to always contribute for the welfare of Indonesian society.